In Exchange 2007 and Exchange 2010, the maximum message size is 10 MB for internal organization. Users allow sending and receiving 10 MB an email. However, some companies would like to send a large email in internal organization. Administrators need to modify the “Transport Settings” to achieve the goal. I use Exchange Server 2010 to demo this lab. 1. At an Exchange Server, log in as Domain Administrator. 2. Launch "Exchange Management Console". 3. Expand "Microsoft Exchange On-Premises > Organization Configuration > Hub Transport". 4. Select "Global Settings" tab. 5. Right-click "Transport Settings", select "Properties". By default, all users in the organization follow the "Transport Settings". 6. 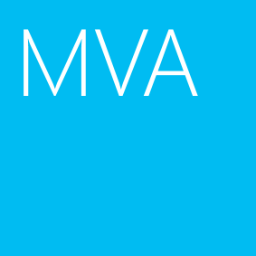 Next to "Maximum receive size (KB)", change the value to "20480". 7. Next to "Maximum send size (KB)", change the value to "20480". Remark: You can also perform the following cmdlet to modify the settings. Remark: You can use ADSI Edit to update or verify the settings. 1) At a Domain Controller, log in as Domain Administrator. 3) Right-click "ADSI Edit", select "Connect to". 4) Next to "Select a well known Naming Context", select "Configuration". 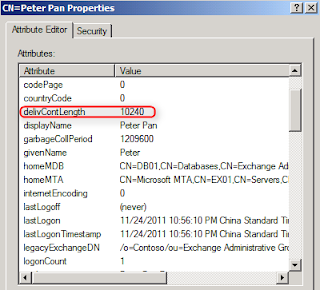 5) Expand "Configuration > CN=Configuration,DC=<Domain Name>,DC=com > CN=Services > CN=Microsoft Exchangte > CN=<Organization Name> >CN=Global Settings > CN=Message Delivery". 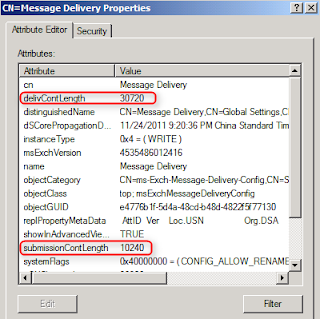 6) Right-click "CN=Message Delivery", select "Properties". "delivContLength" is "Maximum receive size". "submissionContLength" is "Maximum send size". All values is in Kilobyte(KB). 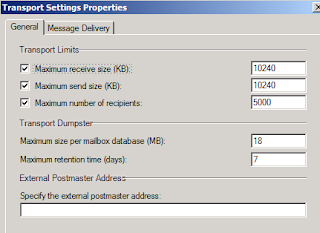 Administrators can assign the Maximum send and received message size in users’ mailbox. If administrators assign the maximum message size in mailboxes, the settings override the maximum message size of “Transport Settings”. 9. Still in "Exchange Management Console", expand "Recipient Configuration > Mailbox". 10. Right-click the user mailbox, select "Properties". 11. Select "Mail Flow Settings" tab. 12. Select "Message Size Restrictions", click "Properties". 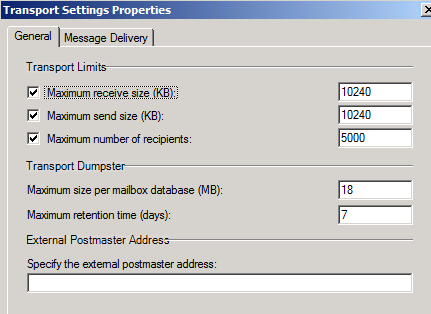 Administrators can assign the maximum send and receive message size for this user. 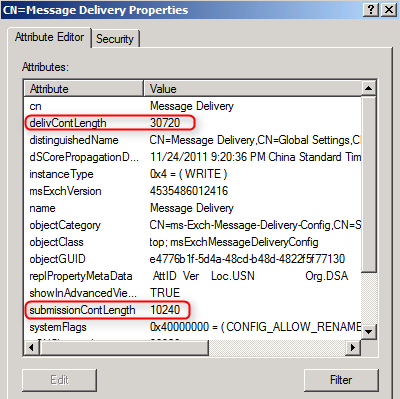 Remark: You can perform "Set-Mailbox" cmdlet to configure the Maximum send and receive message size for users. Remark: You can use ADSI Edit to update or verify the user mailbox. 4) Next to "Select a well known Naming Context", select "Default Naming context". 5) Expand "Default naming context > DC=<Domain Name>,DC=com > CN=Uesrs". 6) Right-click a user name, select "Properties". 7) Next to "delivContLength" and "submissionContLength", configure the size for the user. After the settings are updated, users can send and receive the large email in internal organization. This Document is well drafted and I have followed the steps, but I still get message, This message wasn't delivered to anyone because it's too large. The limit is 9 MB. This message is 12 MB. Are you applying this setting for internal mailboxes? Did you send email to internal users or external users? If it doesn't work, have you tried to restart the MsExchangeTransport service?